A modern take on the Carillon, the tiny Chimeatron was invented in the 1930s by Schulmerich® Bells. 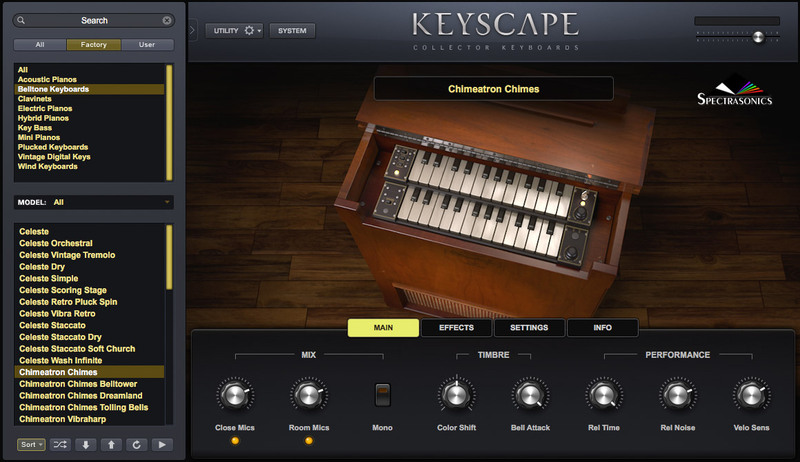 The miniature keys activate solenoids, causing wood hammers to strike small, amplified bell rods. It stands 2 feet tall and has two manuals, a tube amplifier and speaker – all in one beautiful wood enclosure. Popular in both churches and theaters, later models came with separate one-manual keyboards and the chimes were installed remotely. 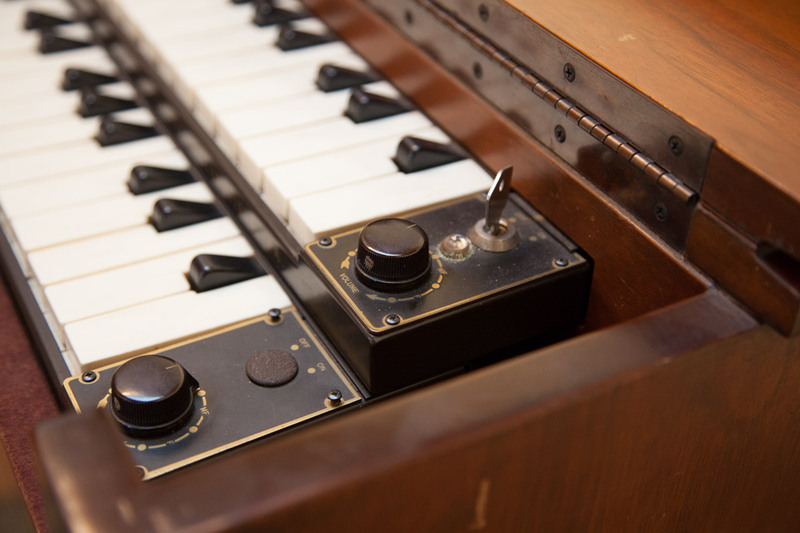 Just like the Leslie switch that became an expected option on later Hammond Organs, the remote Chimeatron was a common add-on to electronic organs in the mid-1900s. Only a few playable Chimeatrons have survived. We recorded serial number 208 through its original tube amp and speaker with close and room mics.